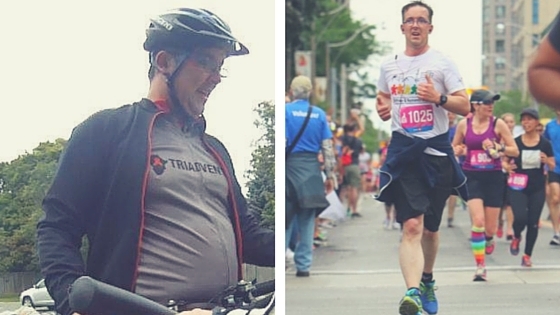 Every week we highlight a Rise member whose story inspires us. 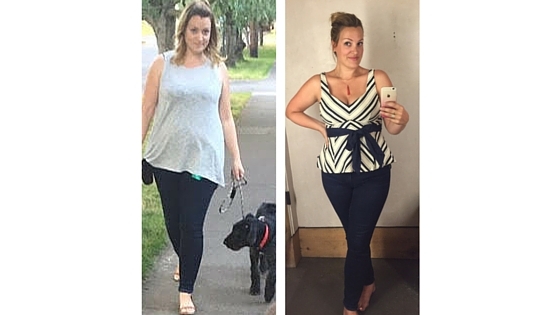 Sarah started using Rise nine weeks ago and has lost 15lbs. Since then she has started training for a 5k race and discovered new favorite foods—including a whole lot of “not sad” veggies! Could you tell us about your typical day? I work as a senior media/planner/buyer at a full-service agency. I get up and drive to work. A coworker and I are doing a “couch to 5k” workout plan together, so in the morning we leave from the office and run around the neighborhood. I arrive between 7 and 7:30am, work for an hour, and then we go for our run and return for the rest of our workday. I’ve been doing Rise for nine weeks and I’m on week seven of the couch to 5k plan. We’re running our 5k race on Sunday. What are the biggest changes you’ve experienced recently? I didn’t work out at all before, so the fact that I’m walking 10,000 steps a day now is pretty amazing. Running the 5k on Sunday is going to be a big deal. In Portland we have “bike to work month” in September, so I’ve also been riding my bike to work. My husband and I have been going paddleboarding. In the last couple months my lifestyle has totally changed—I’m much more active now. What was your impetus for making these lifestyle changes? I had been thinking about it for a while. I was trying to eat right and doing Weight Watchers. I read about Rise on a blog that I follow and thought it sounded interesting. Having someone who is positive and supportive but also holds me accountable is important. It turns out that shame is a great motivator to keep food out of my mouth—I don’t want to have to take a picture of that giant cinnamon roll if it’s not worth it! Getting positive feedback from my coach Beth on my Rise stuff has become a highlight of my day. I feel like I’m learning how to eat. It has been really fun to see that her comments are changing as I’m getting smarter about what I’m doing. It makes me feel good to see what she has to say at the end of each day. What are some of the major food changes you’ve made? My coach has taught me about balanced eating, how to make sure I’m getting protein, veggies and carbs in every meal. I had been told I was gluten intolerant so previously I was trying to cut out carbs altogether. It has been interesting to learn that I actually feel a lot better and lose more weight when I eat in a more balanced way. My coach has taught me a lot about which foods go into what category. For instance, I didn’t realize that beans are carbohydrates. What are you most proud of in this process? Seeing how much better I feel and look has kept me motivated the whole time. I feel really good about it. What are your favorite things about your coach? I like that she is positive and support and honest. It’s a good balance for me. The other day I had my office fantasy football draft after work. I ate a piece of veggie pizza and my coach gave my meal a yellow rating—which I knew I was going to get. But she also said “that’s great, have fun, good luck!” So it’s nice that she’s realistic about what life looks like. Have people around you noticed a change? I think people are noticing a difference in my lifestyle and they’ve asked me about that. They’ve been supportive about my workouts. What else has changed for you? I can run more than half a block so that’s really great. My office has a lot of stairs and I can get up and down the stairs without needing to take a break now. I can fit into a lot of old clothes. It’s not just that I’ve lost the weight, but my waist is back, the bloating is gone, my rings fit again. Those are the little things that other people might not always notice, but that make me feel so much more comfortable every day. What would you tell people who are just starting Rise? Take pictures of everything and be as honest as possible about what you’re eating: every side dish, every dip of your fork in dressing—be really honest about all of it. Also be honest about the type of personality you are when you’re choosing your coach. You need the right kind of motivation to stay on track, so it’s important to know if you respond better to a tougher or gentler style of feedback. What do you think makes Rise different? Having daily feedback from an expert makes a difference. It’s one thing to type your info into Weight Watchers and calculate points, but to have someone who is looking at it every day and giving you honest feedback and teaching you things—that’s totally different. Do you have any new favorite meals or tips to share? Oh man, I have so many new favorite meals! I love breakfast now, it’s my favorite meal of the day! There are so many different ways to eat eggs and peanut butter! I’ve also come to love cottage cheese—that stuff is so good instead of sour cream or inside lasagna. Vegetables are kind of my new thing. I really didn’t realize that I didn’t eat many vegetables before. Now we eat them for almost every meal. How did you start eating more veggies? Partly it’s about learning how to cook them. They don’t have to be sad and soggy. They can actually be delicious. There are some seriously delicious vegetables out there, once you learn how to prepare them. I’ve learned how to roast veggies. Who would have guessed that roasting vegetables and putting them in your tacos would be so tasty? How do you like to roast your veggies? All we do is put them on a baking sheet, spray them with olive oil Pam, add some salt and pepper, and stick them in the convection oven on roast. They come out crispy and a little bit salty and they’re so good in stuff. Grilled vegetables are also delicious. 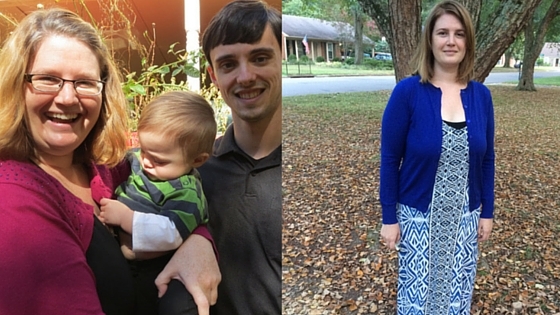 How has your husband felt about the changes in the way you eat as a family? We’ve always done a lot of eating out. Before I started Rise, we ate out 5 nights a week. We eat in more often now. He has been great. He’s okay with cottage cheese and yogurt instead of sour cream. Any tips for people when eating healthy when eating out? Just try to make sure you’re ordering a balanced meal (protein, carb, veggie). Ask how it’s cooked, and get sauces on the side. The first couple days it seemed sad because I felt I couldn’t order nachos anymore, but then I realized fajitas are actually just as good and I don’t feel sick after eating them. Now I’m thinking—why haven’t I been ordering this way the whole time?! Do you know other people who are working on getting healthy with Rise? I’ve had two friends also join Rise and it’s great to compare notes about our progress. We all created Instagram accounts so we can support each other (sharing photos and giving each other thumbs-ups and recipe ideas). You could be our next member of the week! Work with Beth O’Dea, Sarah’s awesome coach. When you signup with her, you’ll get $10 off your first payment. 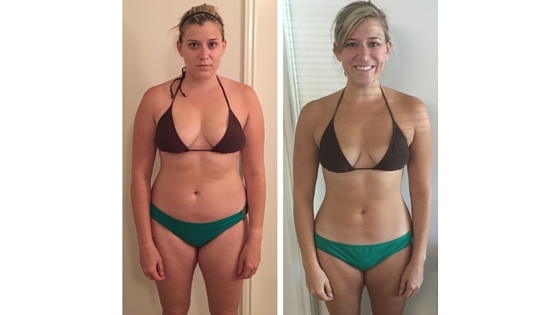 Member of the Week: Megan Lost 15 lbs in 12 Weeks! 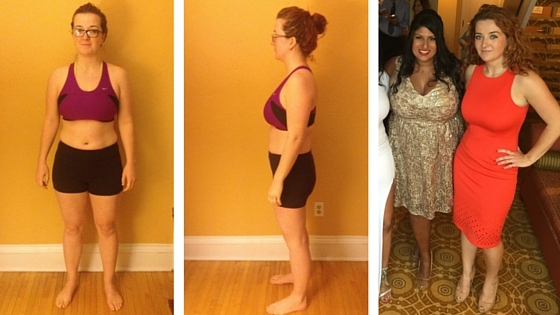 Member of the Week: Allison lost 31 pounds in 25 weeks!